Co-owners Michael Manning and Frank Colonna founded American Autowire in 1987. Back then, it was a two-man operation working from Michael’s basement in Laurel Springs, NJ. Now, Michael and Frank are still at the helm along with Jim Cardona, but with over 100 employees and 38,000 square feet of space at the American Autowire manufacturing facility in Bellmawr, NJ. We have become the premier automotive electrical manufacturer for OEM/Restoration, Modified Restoration, and Street Rod/Custom vehicles, currently offering 6 different product lines of wiring harnesses, accessories, and parts that cater to all types of automotive projects. American Autowire produces a huge selection of wiring harnesses, accessories, kits, and components that any true rodder or restorer can appreciate. 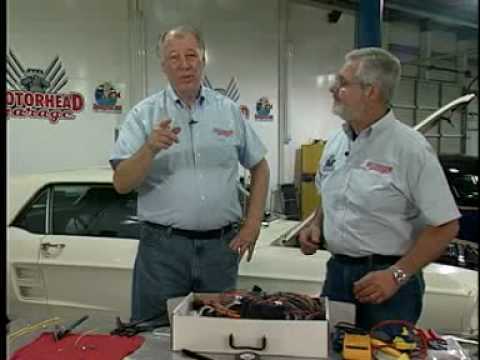 We offer over 9,000 original restoration wiring harness, switches, battery cables, and spark plug wire set combinations in our Factory Fit® product line, over 50 complete modified restoration kits in our Classic Update Series, and provide integrated fuse panel and modular fuse panel street rod wiring through our Power Plus, Builder, and Highway series. If you have any questions about our products, or to place an order, please call our sales department and speak with any one of our highly skilled and professional sales representatives and technicians (Mon-Fri 8am-5pm EST). Our Technical Support Headquarters website is available for reference 24/7. For a complete listing of all our wiring harnesses and accessories, you can download free copies of our OEM and Street Rod catalogs. All of our products are available at our online store, americanautowire.com/shop. It has been our pleasure serving the needs of fellow enthusiasts and developing new products in line with the latest trends. Please take a few minutes to review American Autowire’s newest products and other announcements under the news tab.